New Who comes to Big Finish! 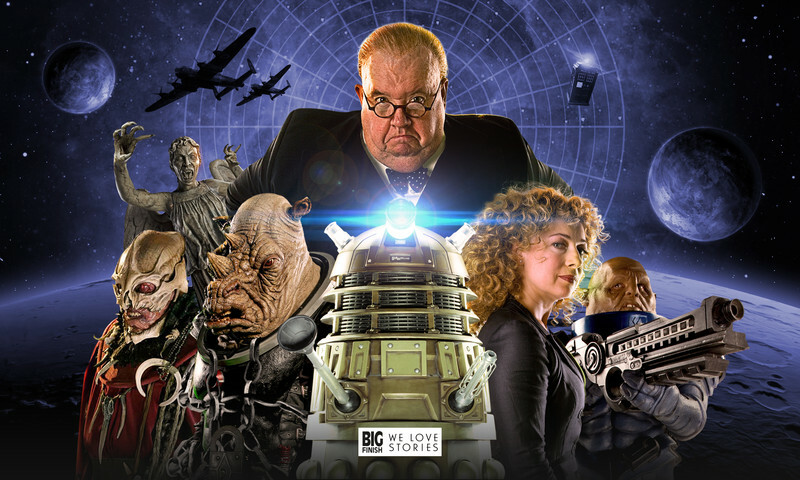 In a highly anticipated announcement over the weekend, Big Finish Productions revealed that their line of 2016 audio dramas will include characters and monsters from the revived series of Doctor Who. This is a major coup for the company, whose licence previously covered only Classic Who. The year will get off to a bang with Alex Kingston reprising her role as River Song – in not one but two boxsets! In January 2016, ‘The Diary of River Song’ will see River heading her own four-hour adventure across space and time, with Paul McGann’s Eighth Doctor making an appearance in the final instalment. River is also set to appear in an episode of March’s ‘Doom Coalition 2’, the second instalment in a new range of Eighth Doctor adventures following on from the award-winning ‘Dark Eyes’ series. But what role will she have to play, if she doesn’t properly meet the Doctor until his tenth incarnation? We’ll have to wait to find out! Another recurring character from the Moffat era, Ian McNeice’s Winston Churchill, will be the star of his own boxset. ‘The Churchill Years’, styled as a series of memoirs by the pragmatic Prime Minister, will relate a series of encounters with the Ninth, Tenth and Eleventh Doctors. It is set to feature a full cast of guest actors, at least one of which we have seen before – Danny Horn as the teenage Kazran Sardick from TV’s ‘A Christmas Carol’! Finally, a special four-story boxset will see the Doctors of the past faced with the villains of a new generation. ‘Classic Doctors, New Monsters’ will match the Fifth Doctor with the Weeping Angels, the Sixth with the Judoon, the Seventh with the Sycorax and the Eighth with a new batch of Sontarans preparing for the Time War! The news follows on from the previous announcement of ‘UNIT: Extinction’ – the first in a series of boxsets to feature Jemma Redgrave as Kate Stewart and Ingrid Oliver as Osgood – as well as ‘Torchwood: Conspiracy’, starring John Barrowman as Captain Jack Harkness. It’s clearly a great time to be an audio-loving Doctor Who fan, and who knows – perhaps it’s only a matter of time before Big Finish adds David Tennant or Matt Smith to their collection of Doctors! All these releases and more can be pre-ordered now from the DWCA Shop. For more information, email shop@doctorwhoaustralia.org.